presents competitors with their awards. Once again, our thanks to the PGCE students from Cardiff. Another great day was had by all at the Regional Gala on the 16th of November. Eleven Teams, from all over South Wales, gathered at the International Pool in Cardiff. Pupils from Crownbridge School in Gwent are seen here receiving their well earned medals. who conducted proceedings in his own unique way!. Once again, First Choice Housing Association members, Andrew and Sharon, did the honours. We were also very fortunate to have the help of a number of volunteers. and retired P.E. teachers, there to give a knowledgeable helping hand. A BIG thanks to all. Fortunately, the weather was kind to us and a great day was had by all. We were delighted to welcome the President, Mr Gareth John and Vice President, Mr Lance Osgood of DSW who valiantly presented medals throughout the day. First Choice Housing Association were once again very supportive with representatives on board to help out wherever needed. Jade Williams, a recent recruit to WSAPLD, also sent in some photos from the event. Jade recently broke the two Welsh national records in the steeple chase 2km and 3km. and is the current Welsh national Champion 800m. In Jade’s own words – “I wanted to help WSAPLD because I've grown up as a child around family members and friends who have had learning difficulties & disabilities”. Thanks Jade – it’s great to have you on board. Jade is pictured here with the winner - on the left - of our 'Chris Barrow Trophy for Effort'. If you have any photos of the day, please send them in to our website. 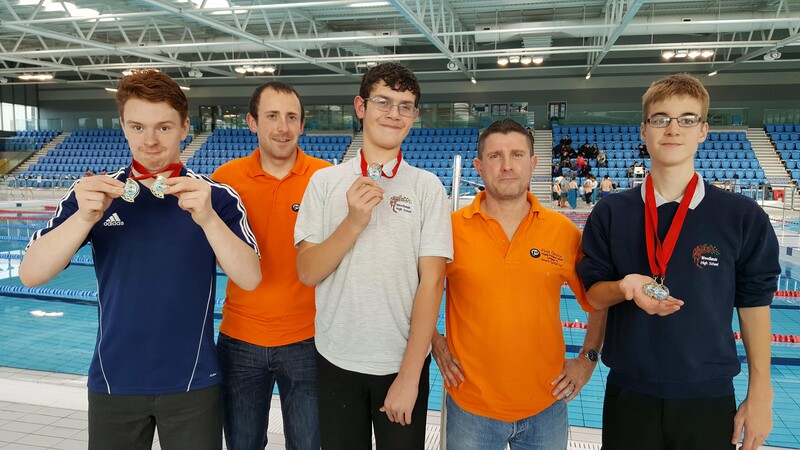 present medals to three students from one of the 12 Teams that took part. Ready to Go Team work over the wall A well deserved cooling off !